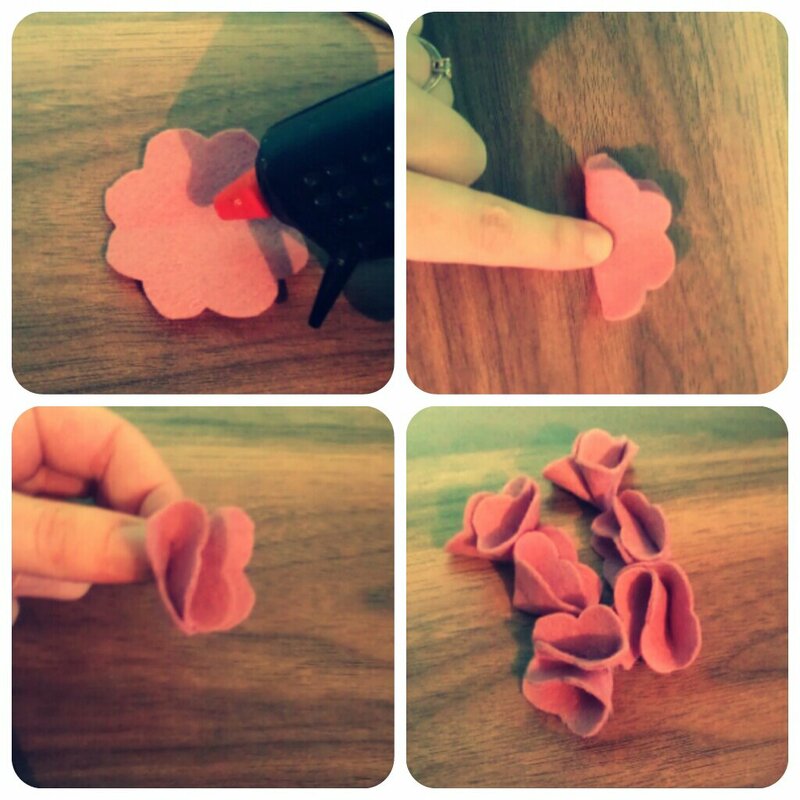 How to ~ Felt flower. 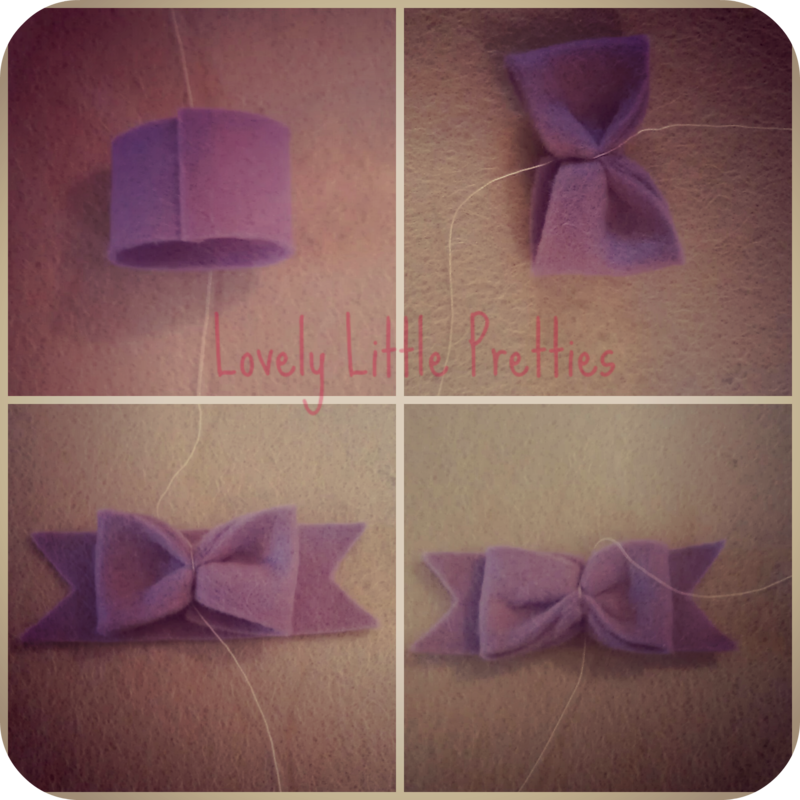 So as promised I am posting a tutorial of how too make a simple felt flower. 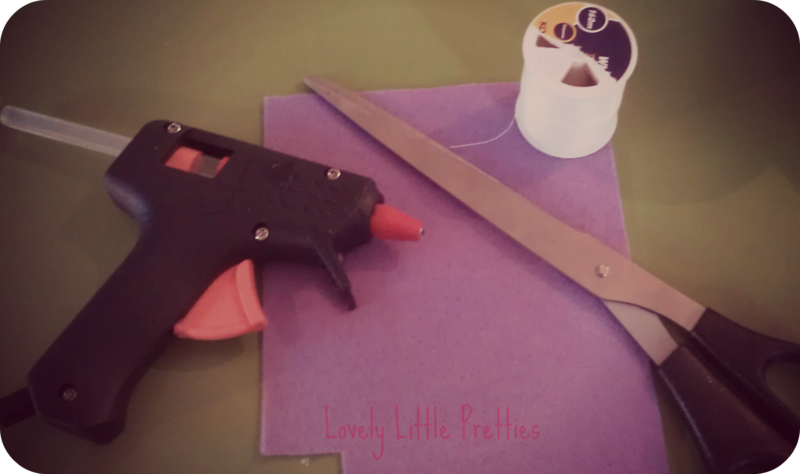 These are really quick, cute and simple and can be used for loads of craft projects. 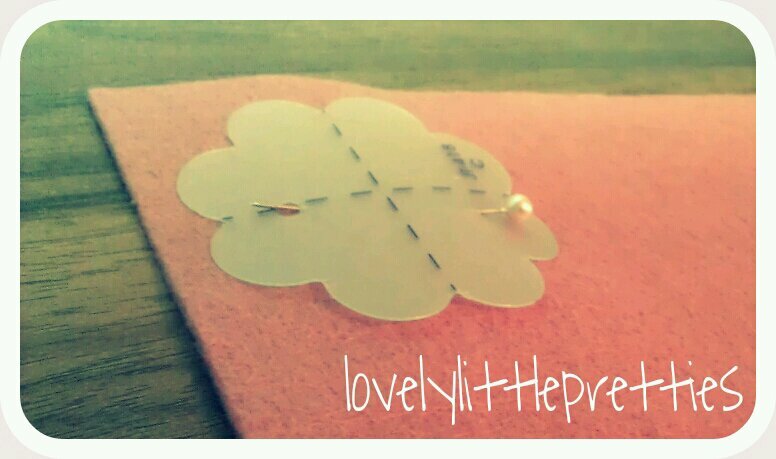 Line your template up and pin to the felt. Remember you we need to get at least 6 flower shapes from your piece of felt. Cut out the flower template shape from the felt. You will need to do this at least 6 times, depending on how full you would like the finished flower to look. 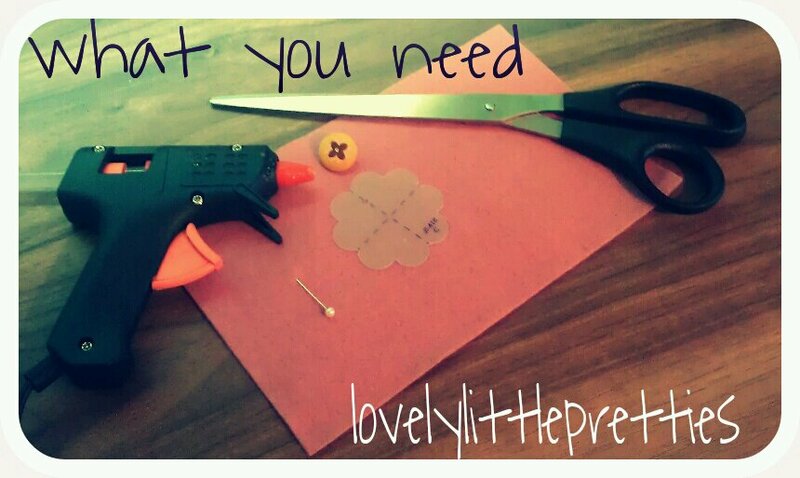 Once you have the required amount of flowers you would like take the 1st flower felt piece and put a tiny dab of hot glue in the center and fold in half, pressing down firmly. 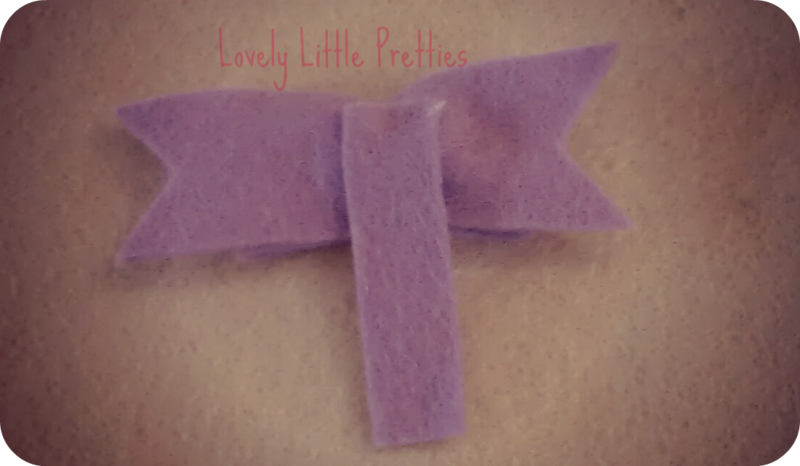 Then put another tiny dab in the centre of the folded half and fold again to make a petal. 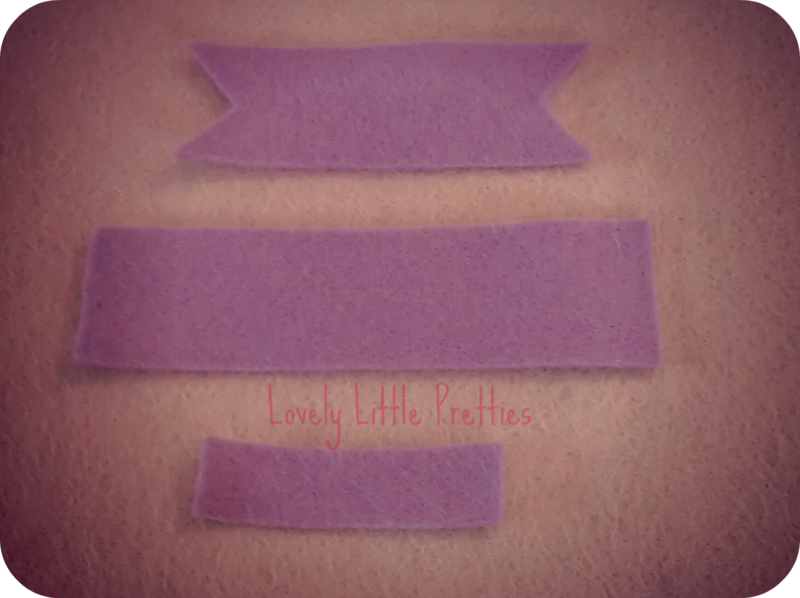 Repeat these process with all the felt pieces you have cut out. Out of some of the left over felt cut a small circle that will be used as the base for the flower. 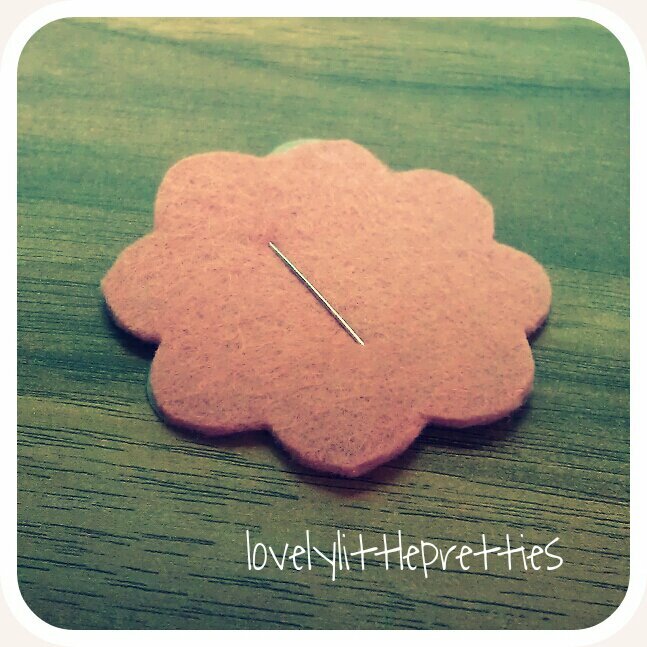 Put a large dab of glue in the center of the circle and place the “petals” with the point inwards. 4 will make a good base, then place another 2 on top. The flower will look nice a full by this stage. 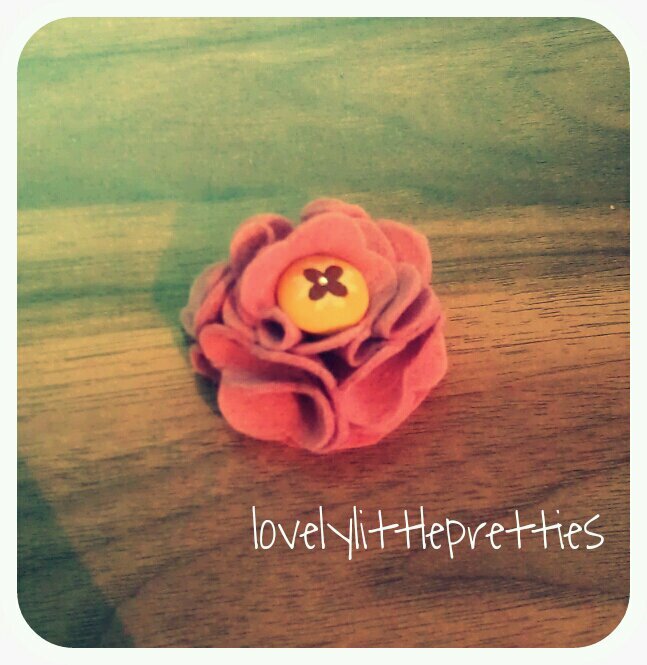 Take the button and glue in the centre of the flower to finish it off. 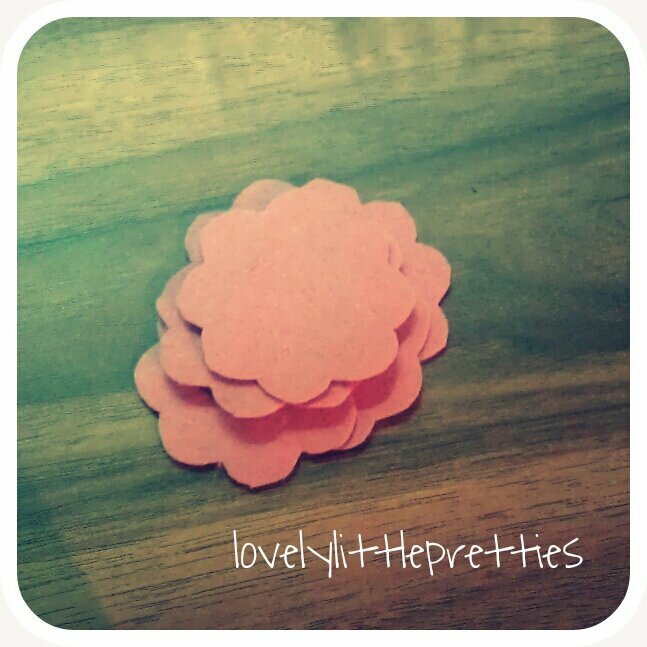 These little flowers can now be used in all different types of craft projects. I will be attaching mine to a babies headband. 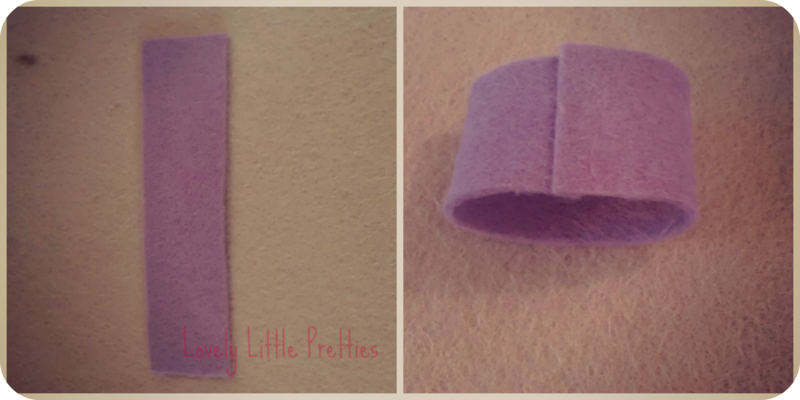 Take the 4in piece of felt and put a dab of glue at one end bringing the other end to meet it to form a circle. Now take a length of cotton and feed under the circle bringing it back over the top to tie a knot, making sure that you pull the felt together in the middle. don’t worry to much if it looks untidy you can rearrange the bow at any point. 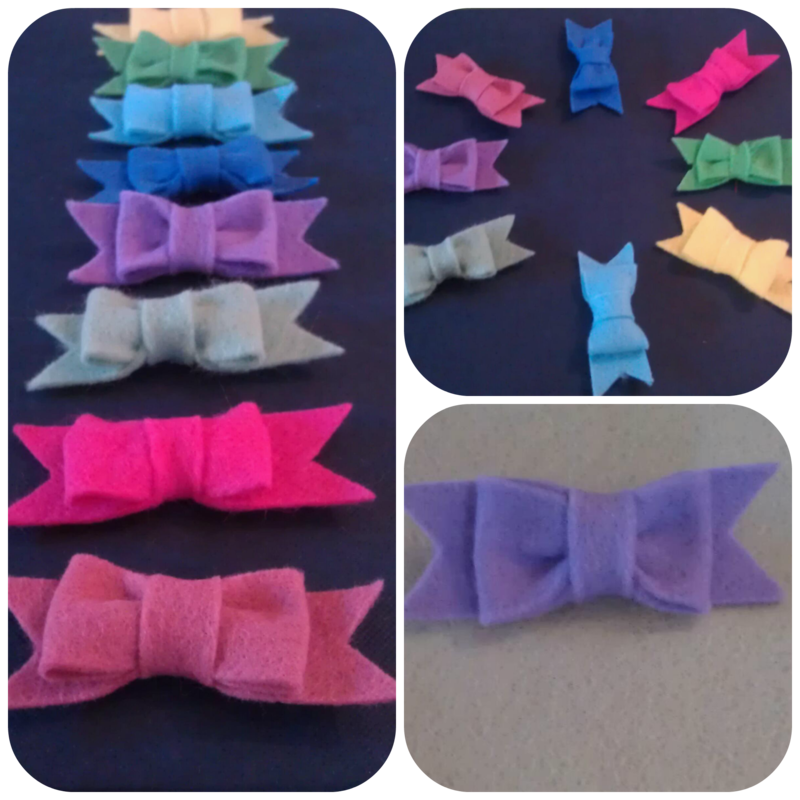 Now take the piece of felt that you cut the tails into and place under the “bow”, feed the cotton back under and tie another knot making sure to pinch together both pieces of felt. Once you are happy cut away any cotton. Wrap the strip of felt all the way round the front of the bow and again fixing at the back with a little bit more glue. 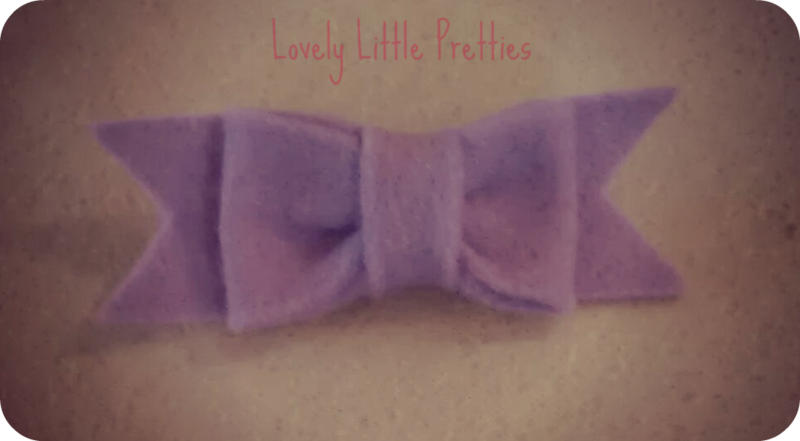 This little bows are super cute and can be attached to a clippie, baby soft headband, aliceband or hair bobble. I hope that you enjoyed and i will leave you with a few others that i have been making. Oh and if you would like to check out my other ranges pop along to my Facebook page to have a look. This is my first tutorial, so i do hope you all enjoy. 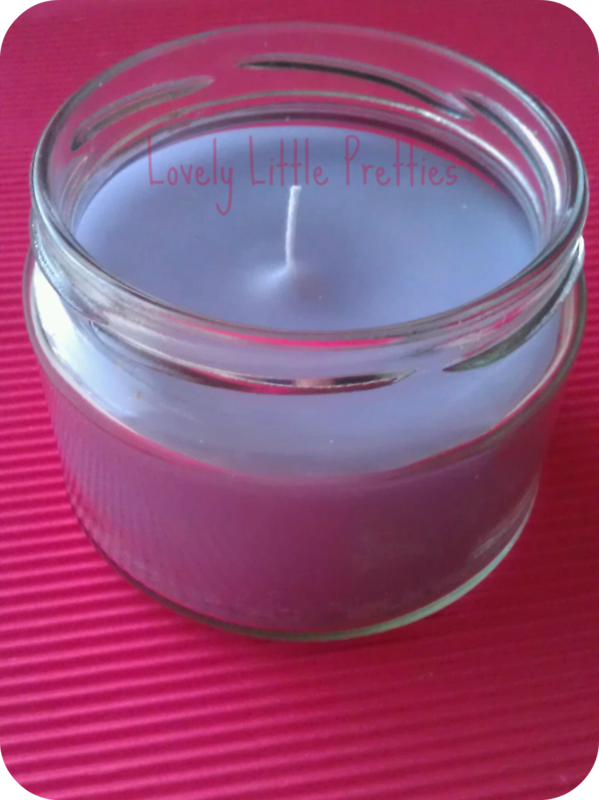 I love to make candles, I love the smell that fills the kitchen when making them & i love the finished results of a cute little candle just waiting to be lit. 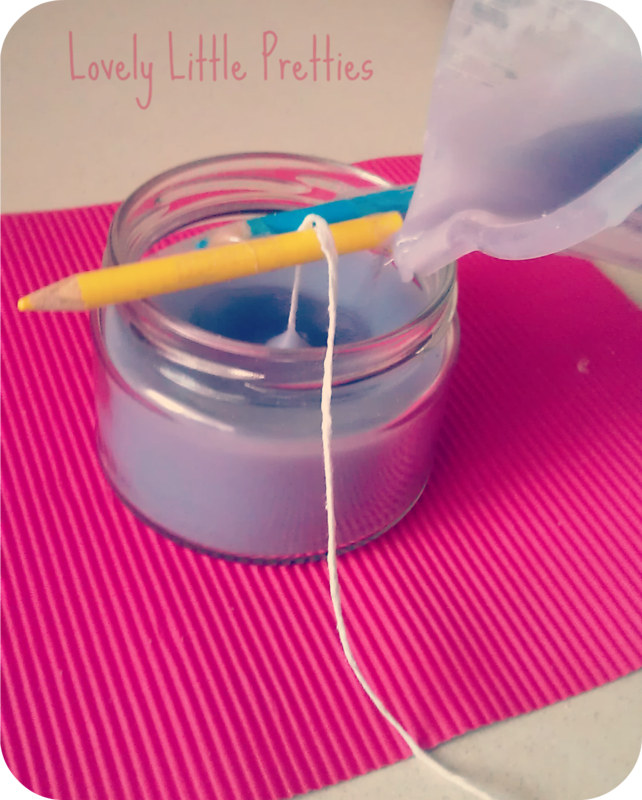 So today i am going to show you how i make my candles at home. 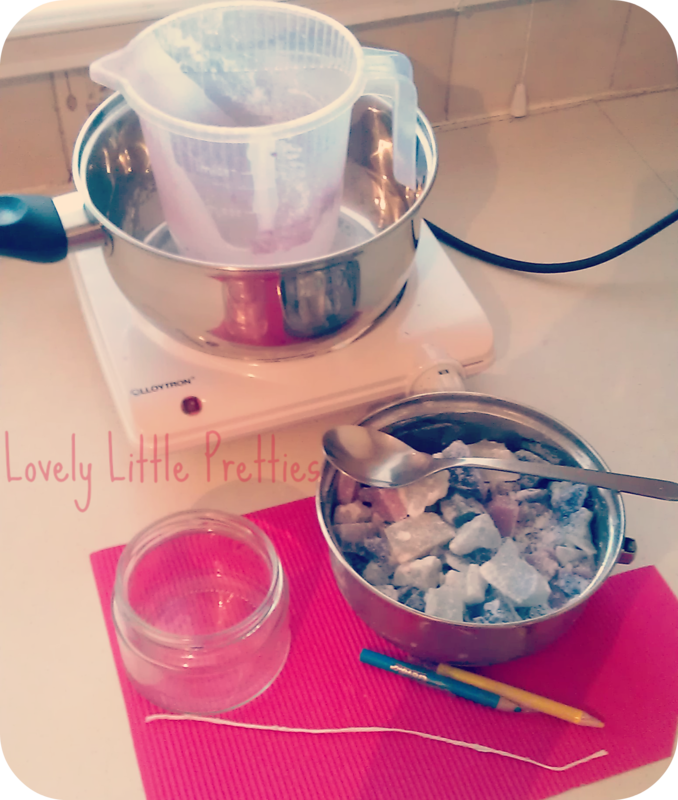 First work out how much wax you will need: fill your glass container with water and measure the amount. Say it’s 150ml (5 fl oz), you will need the corresponding amount of wax, so 150 g (5 oz). 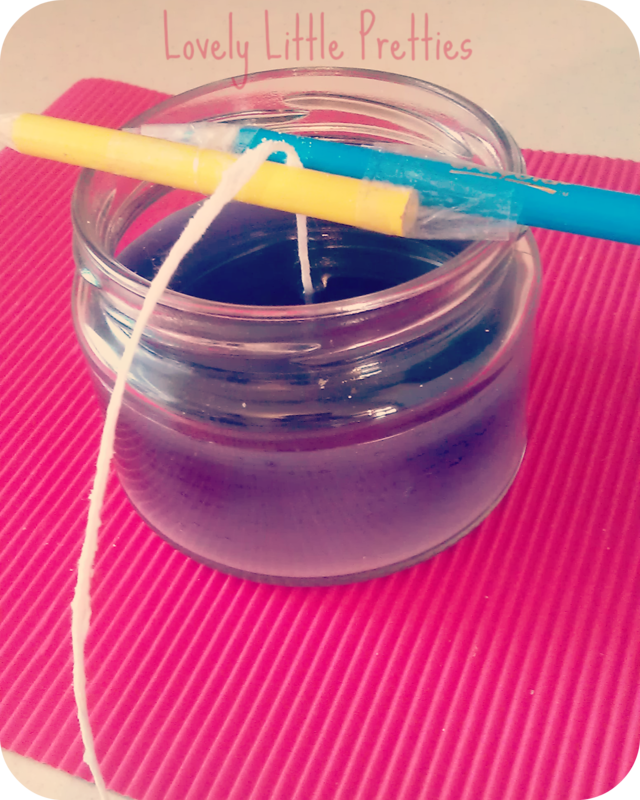 While the wax is melting its time to fix the wick into the glass container that the wax will be poured into to set the candle. 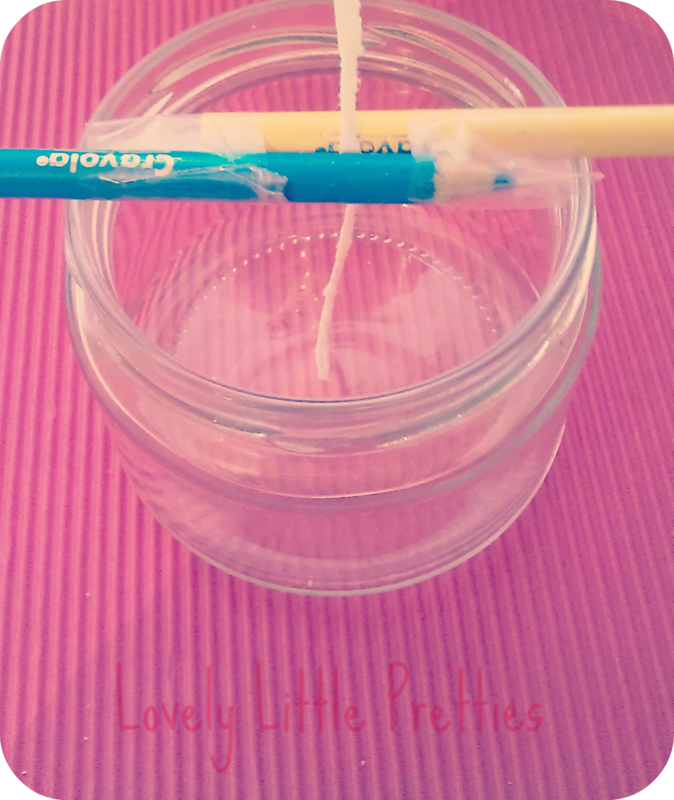 I fix the wick in between two pencils to hold straight. 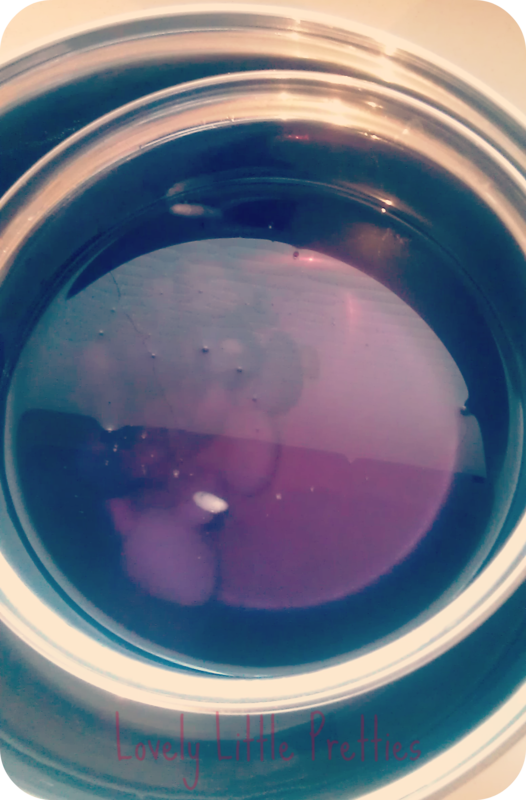 Once the wax is melted its time to pour it from the pan into a jug, than that gets poured into the glass container (please take this slow and carefully.) Remember to save some of the melted wax back you will need this later to top up and level the wax out. 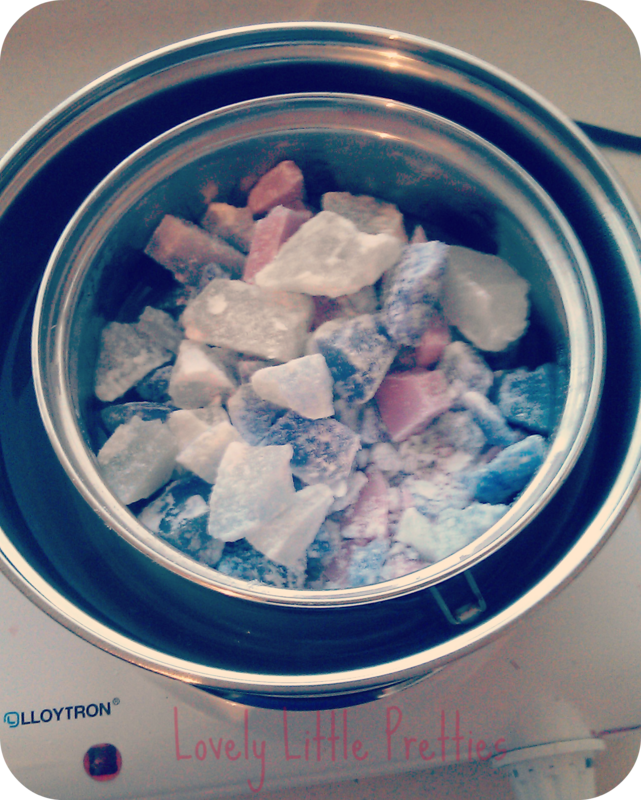 After approximately 30 minutes, you will notice a well forming in the top of the wax as it cools. 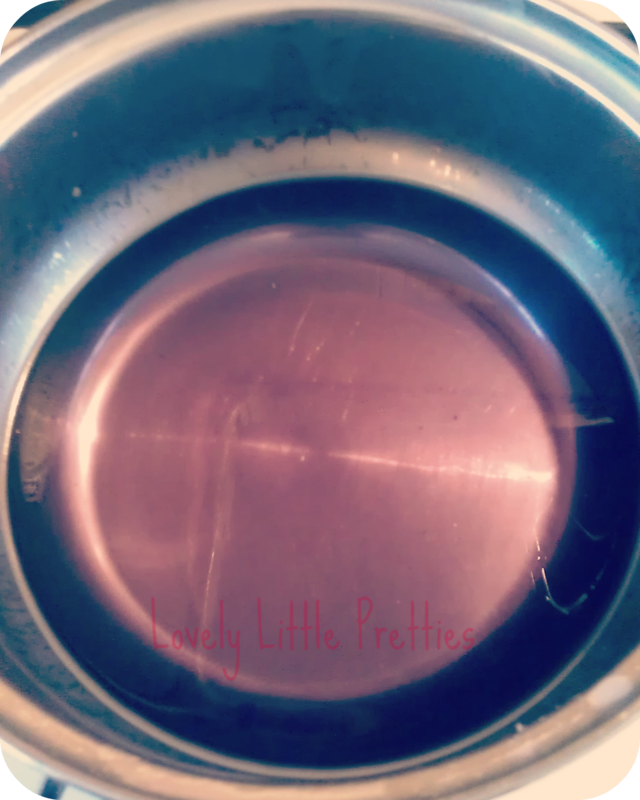 Break the skin of the well, taking care to keep the wick in the centre of the cup. Do this every 20 minutes until the wax has fully congealed. Now reheat your remaining wax and fill the waxwell. For larger containers, you might have to repeat this topping-up process a few times. After one day your candle will be ready to burn.